We have a fleet of vehicle’s which can deliver any quantity of product you require. We deliver in bulk and we will deliver to you any day of the week. 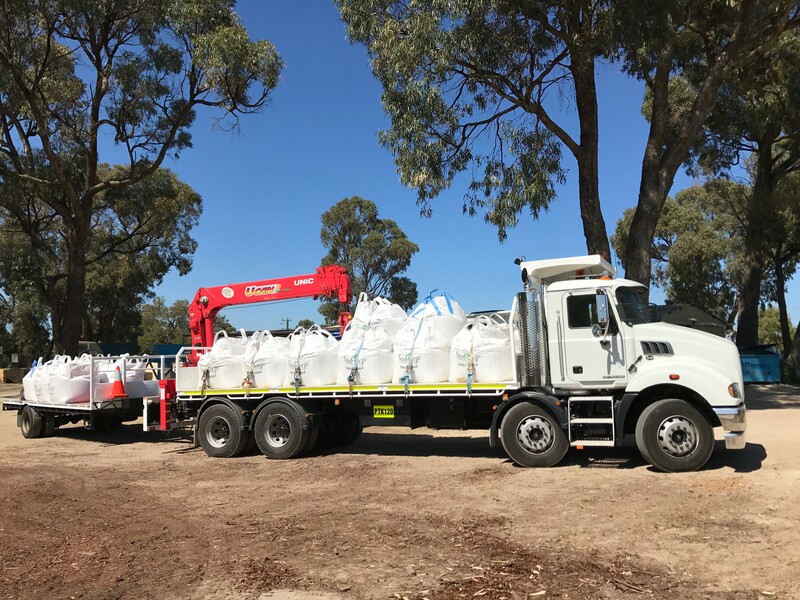 This truck can carry up to 2 cubic meters of heavy material like sand, soil or stones and up to 3 cubic meters of lighter materials like mulches or composts. Perfect for little loads and where space might be a bit tight. 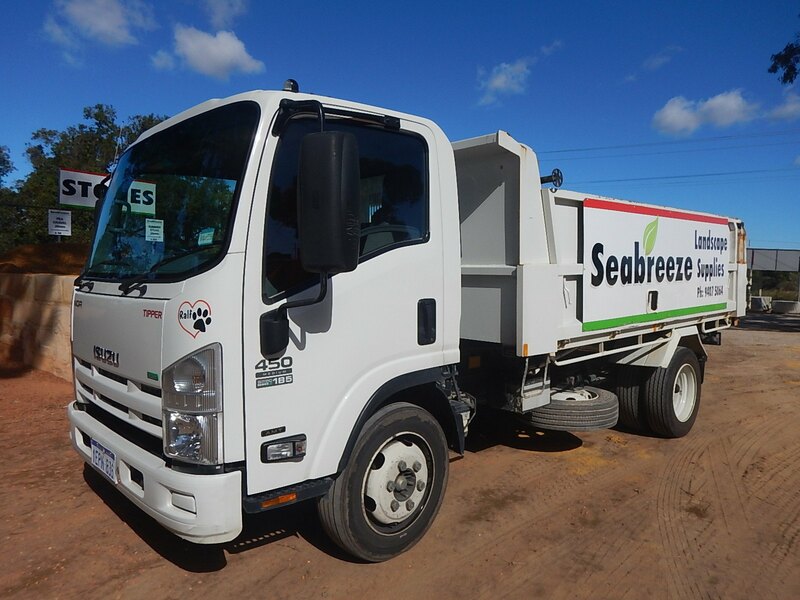 This truck can carry up to 3 cubic meters of sand, soil or stones and up to 5 cubic meters of mulches and composts. 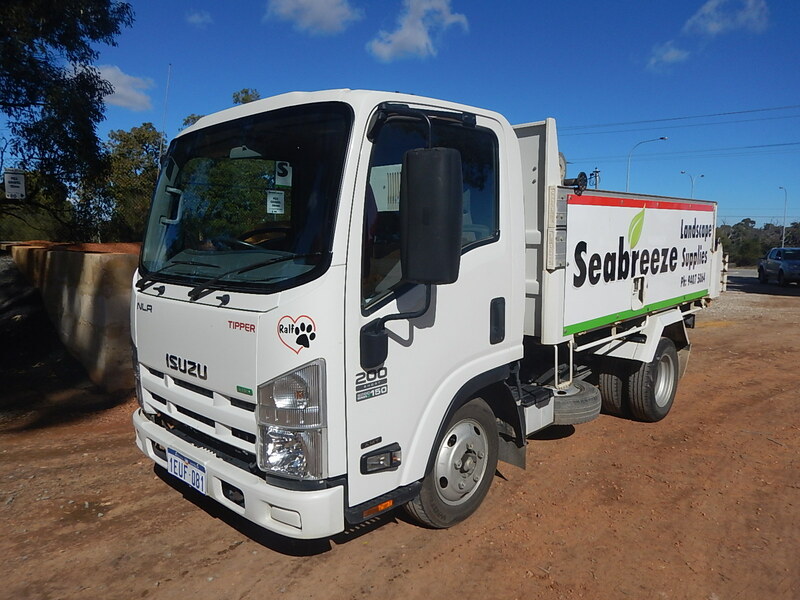 This truck can carry up to 6 cubic meters of sand, soil or stones and up to 9 cubic meters of mulches and composts. 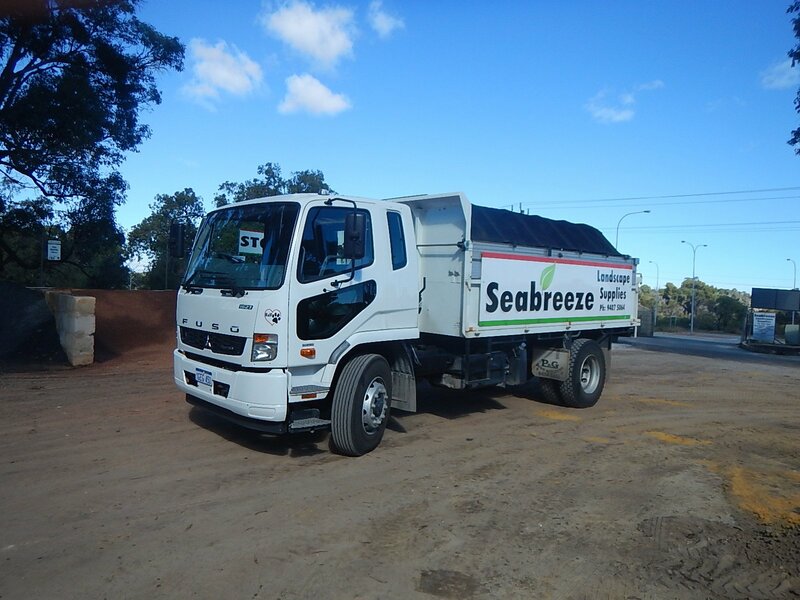 This truck can carry up to 10 cubic meters of sand, soil or stones and up to 12 cubic meters of mulches and composts. 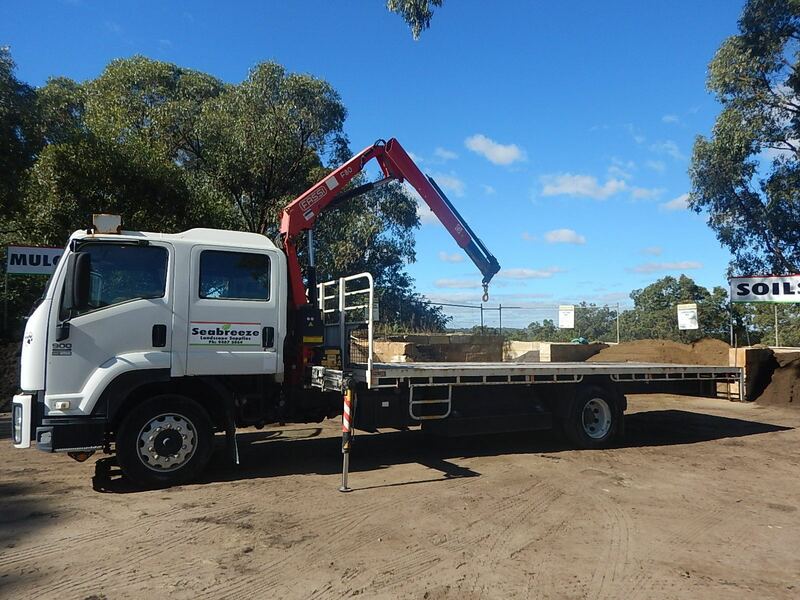 This truck can carry pallets of limestone, cement, paving, sleepers, bricks, bulk bags and large feature stones. The front mounted crane allows for good access. The crane can reach 3 metres in a straight line with a one tonne load. The crane can safely lift 2 tonne but has no reach with this load. 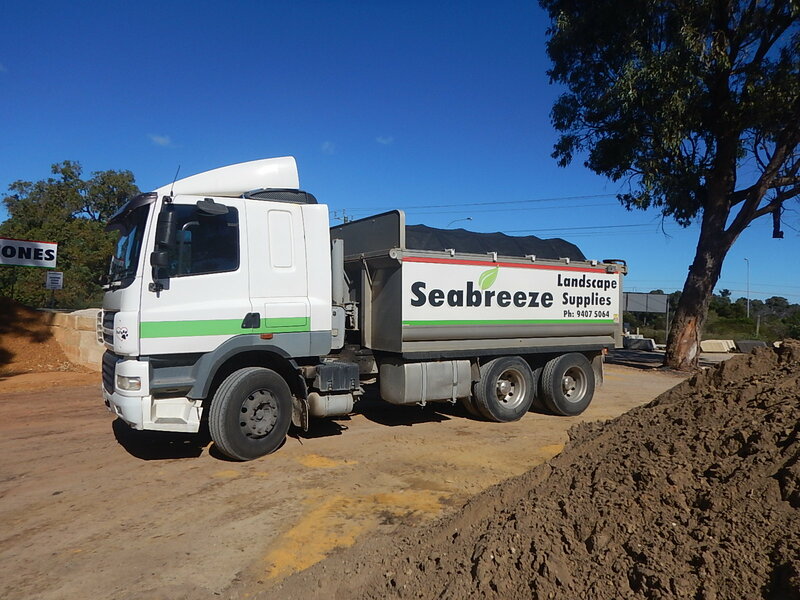 This truck can carry pallets of limestone, cement, paving, sleepers, bricks, bulk bags and large feature stones. The rear mounted crane allows for good access. Our new HiAB can carry 14 x 1 Tonne Bulka Bags or 6 x Pallets of blocks.